“This counterproductive negative campaigning needs to stop...The Democratic primary must be a campaign of ideas, not of bad-faith smears. Please help play a constructive role in the effort to defeat Donald Trump," Sanders wrote to the Center for American Progress, which runs ThinkProgress.com, in a letter obtained by the New York Times. As reported by the Times, "The Center for American Progress, which is known as CAP, was founded in 2003 by John D. Podesta, a close ally of the Clintons, and is based in Washington. It has played an important role in Democratic politics, even as it is legally required to be independent from the party. It has been funded by major Democratic donors, like the financier George Soros, as well as entities with interests that do not always align with progressive politics, including health insurance companies, Walmart, big banks, defense contractors and foreign governments." 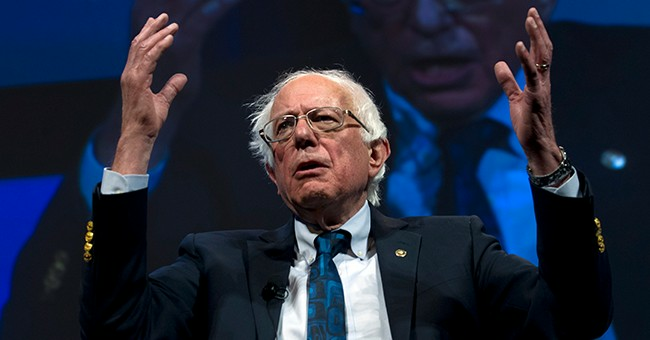 Senator Sanders has long chastised the Democratic National Committee as well as other groups for more or less "rigging" the 2016 Democratic primary to favor Hillary Clinton. In his letter, Sanders accused CAP of being under the influence of corporate PAC money to prevent progressive ideas from becoming the focus of the Democratic party. “Center for American Progress leader Neera Tanden repeatedly calls for unity while simultaneously maligning my staff and supporters and belittling progressive ideas..I worry that the corporate money CAP is receiving is inordinately and inappropriately influencing the role it is playing in the progressive movement," Sanders wrote.